Captain`s Canal Park is a modern loft suite located in the heart of Canal Park in Duluth. 2017 update The home now features a hardwood-like tile flooring through the kitchen and living room. Please note that the rest of the pictures of the kitchen still show the old tile flooring that is no longer there. 2017 updated flooring in the living room. Please note that the rest of the photos of the living room still show the old carpet that is no longer there. This dining table provides comfort for your eating in. This modern open floor plan allows for spacious comfort and enjoyment of the entire unit. Stainless steel appliances and a granite counter top make this kitchen a chef`s dream. Don`t waste precious vacation time doing dishes- Captain`s Canal Park has a dishwasher for your convenience. This beautiful stone fireplace allows you to warm up after a nice walk to the pier of Lake Superior. What a great place to share your day`s events in Canal Park . Feel like you`re already outdoors in this natural lighting. Brought work with you Here is a space for that. The master bedroom features a plush king bed, flat screen TV, and views of the William A. Irving ship. Two full beds and a flat screen TV greet you in the guest bedroom. The guest bathroom features a shower/tub combo. The master bathroom features a walk-in shower. Located in an historic building in the heart of Canal Park Large indoor pool, kids wading pool, hot tub, sauna, and access to the fitness center are included. Have dinner at Red Lobster or any of the many restaurants that are within walking distance. The William A. Irving, a decommissioned ship permanently moored in Canal Park, can be seen from the suite. Make some great vacation memories when you stay in this historic brick hotel. Built in 1889, it offers all of the classic charm of old Canal Park with its comforts of a high quality, modern interior. You can’t beat this location, just moments away from the Great Lakes Aquarium, Duluth Entertainment and Convention Center, Maritime Museum, Bayfront Festival Park and Playground, North Shore Scenic Railroad, Amsoil Arena, Duluth 10 and IMAX Theaters, plus numerous boutiques, offering unique gifts and window shopping. There is also a smorgasbord of dining options, from corner cafes with live music to fine Italian dining. This is a great location to attend or participate in events like Grandma's Marathon, North Shore Inline Marathon or Bayfront Blues Festival. From your Captain’s Suite master bedroom you will have a view of the William A. Irving Ore Boat, a historic fixture in Canal Park. The William A. Irving is available for tours, including a special haunted ship tour in late October. You can also charter a boat for some fishing on Lake Superior with Duluth Charters, launching from the harbor just a short stroll away. Experience an awesome sight as you watch a large ship come into the harbor through the world renowned Aerial Lift Bridge. On the days you don’t feel like heading out, navigate your crew down to the indoor pool, hot tub, wading pool, and fitness center. A well-equipped kitchen, with top of the line full-sized stainless steel appliances, offers you the perfect place for in-room meals. If you want to dine out, there is a wide variety of restaurants within walking distance, including Red Lobster just around the corner. Amenities like Wi-Fi internet and Satellite TV will keep you connected on your vacation, then end your day relaxing by the beautiful gas fireplace. Finally, settle in for a comfortable night’s sleep in the master bedroom with a king bed and guest room with two full beds. So whether you are on a romantic getaway, friends' weekend, family adventure, or business trip, this well-appointed, newly redecorated suite is the perfect place for any vacation. Great location overlooking the lights of the city. The Kids enjoyed the trains going by for Bentlyville and the Depot. Very nicly kept condo with comfortable beds and furniture. Very quite. Parking can be difficult. 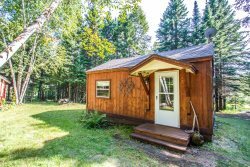 Perfect location that is walking distance to most of the city of Duluth's attractions. Very nice and well appointed condo unit. We all agreed the lock box was genius! Was a very comfortable, clean & "posche" place to stay. Close to shopping & restaurants. Everything was great. From the lock box to the bottled water, chocolates & coupons upon arrival! We definitely hope to be back! Better than imagined, clean, cozy, great location, comfy beds, was perfect! The only suggestion would be to have a sound system/stereo/some way to play music. We enjoyed our stay at the condo. We liked the location, easy access to the building, easy parking, chocolate and water at our arrival. The furniture, bedding and towels were really comfy. I would suggest having kitchen trash bags and measuring cups available to guests.